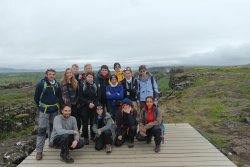 IceLand Lab’ 2017 - 16th to 30th July 2017 12 European teenagers decided to discover the mysteries of Iceland through a two weeks scientific holiday. 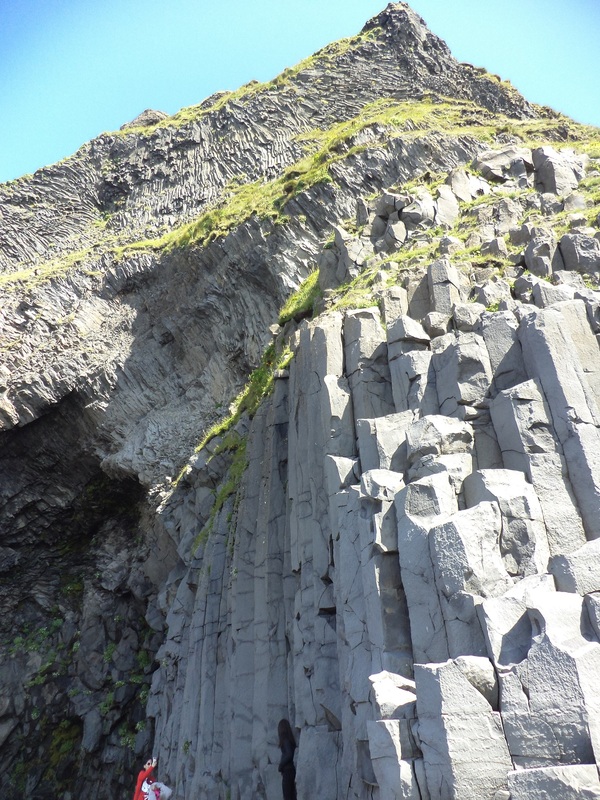 We were on the border between two tectonic plates (north American & Eurasian ) which drift apart on average 2 cm per years. On the way to the camp, we stoped at Graenvanaten ( Green lake ) tainted green from the aquatic algae. After that we settled in the camp to erect our tents and shared our first meal together. We awaited the darkness of night that usually occurs.... without any luck ! Enventually, we retired to bed after a filled travel day. Monday was just as eventive as the day before having a great breakfast and our first forum to listen to common rules and organising weeks. After noon we experienced a unique moment : relaxing in naturally heated source after a 3km hike. even after drifting into peaceful trances we didn’t lose our scientific goals, so we measured the temperature of the water at different locations in the stream. We were able to compare the drastic interval between the two tributaries that met in one part ( 15.3°C & 45.1°C). 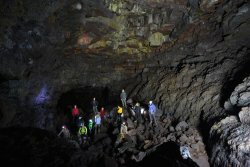 The pressured gases sulfur that immerge from cracks in the earth’s croust cause these geothermic sources wich is a rare and strange phenomenon. On the way back we endured the violent torrent of rain that bombarded us all the way to the bottom of the mountains. 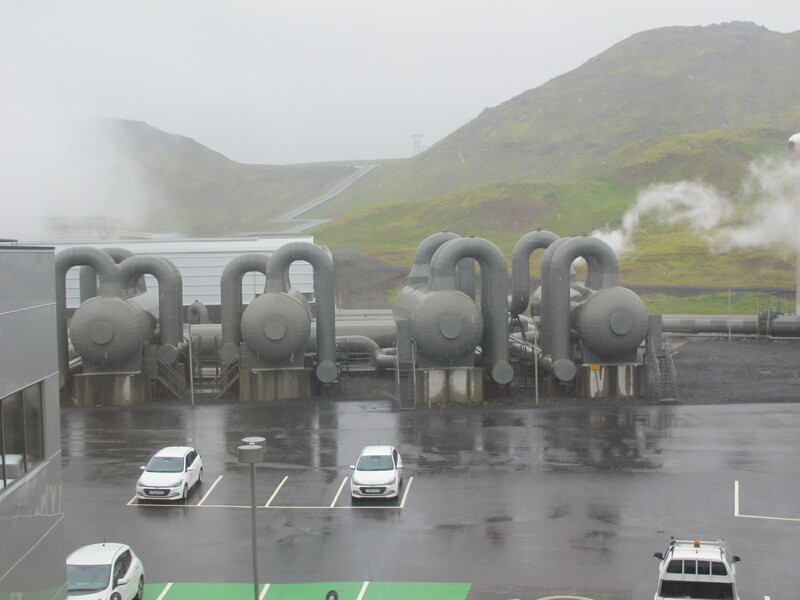 At the start of the second day at Reykjarmörk Hveragerdi camping, we quickly prepared ourselves to visit the geothermal power plant. 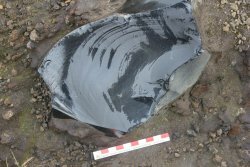 The purpose was to understand how the heat from the soil is harnessed to produce electricity and heat ; supplying to Icelander’s everyday needs. Geothermy is omnipresent - it represents 90% of the island’s energy supplies. Moreover, it is used in many ways depending on the different temperatures. In low temperatures, the heat produced is used in agriculture in greenhouses and fish-farming for example ; balneology and biogas processing. In warm temperatures, it is used in cooking, food processing, canned processing and in house heating. 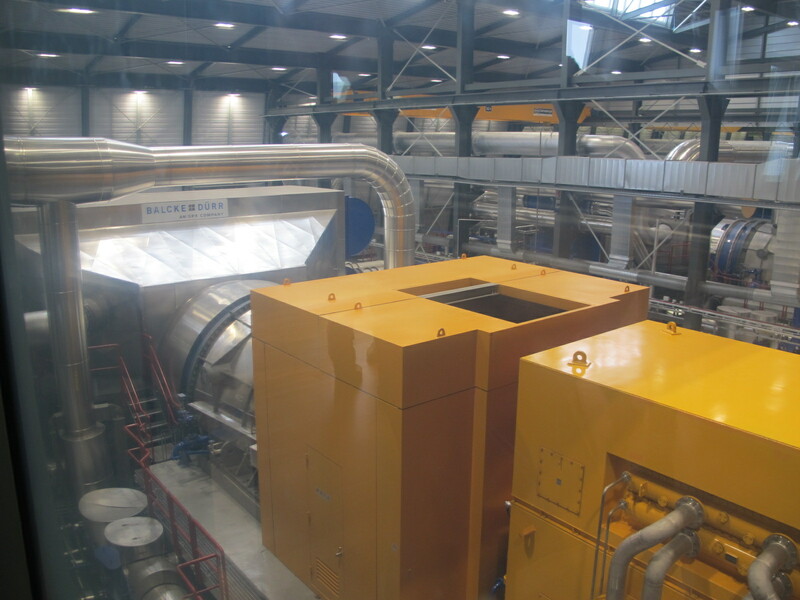 Finally, in high temperatures, it is mostly used in industry and energy production. The power plant is centered around numerous circuits that deliver both heat and electricity. 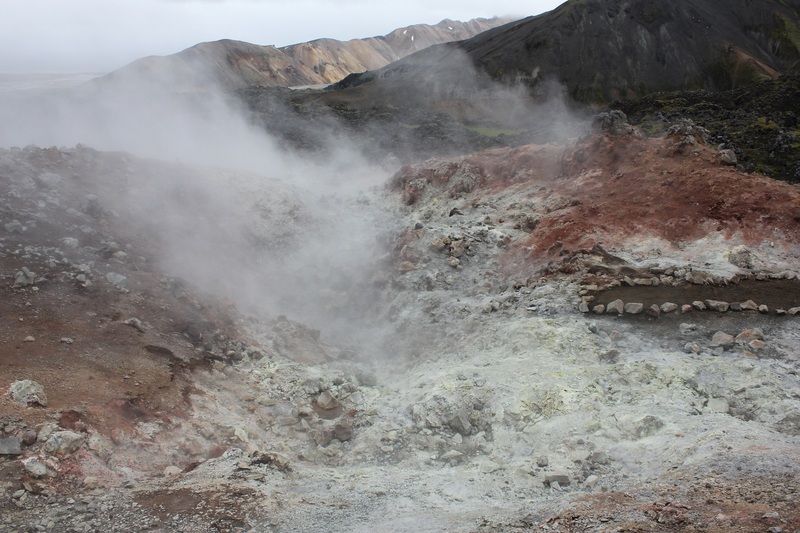 The fluid from deep in the bedrock -heated by the volcanic activity generated by the « Rift »- is separated into steam and water. The steam is dryed and converted into electricity ; on the other hand, the thermal water is used to heat potable water that is directly available for consommation. The drainage water is then reinserted into the ground where it was found promoting the durability of the process. Even if geothermy is a renewable energy, it still rejects a small amount of carbon dioxyde and hydrogen sulphide that can become toxic for human beings as well as the environnment. However, researchers have found solutions to this problem such as solidifying carbon to prevent any greenhouse effect. 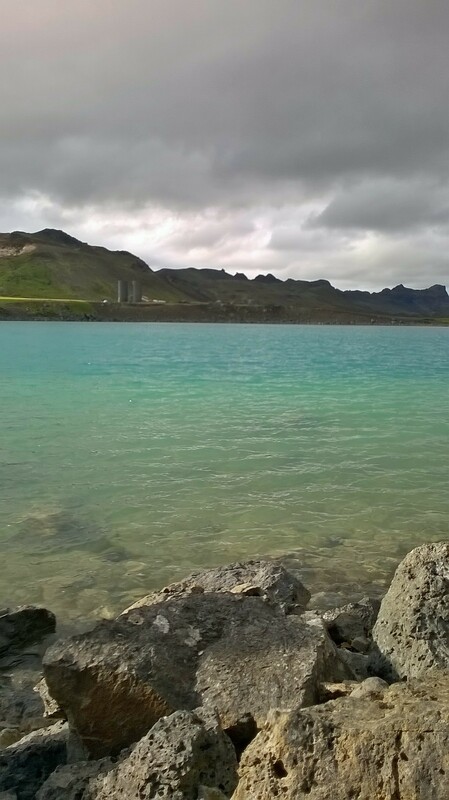 Other countries, like Iceland, already use geothermy and have great potential, such as Switzerland. As the weather got worst and the rain completely soaked all our stuff, we took it as an opportunity to experience a common utilisation of geothermy : heated outdoor pools. Before going back to the camping site, we made a short stop at the supermarket to renew our SKYR supplies. After the breakfast we went to the golden circle. The golden circle is a rift between the europeen and american continental plates. 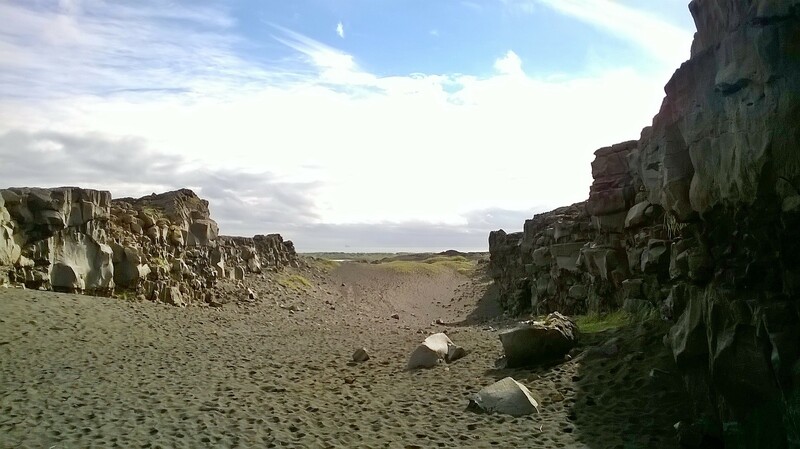 This place used to be a meeting place, an assembly for the icelanders during the 12th century. This court was one of the five courts of law of the country : four were the regional courts of laws the last one was a court for special cases. The regional courts were composed of 36 farmers who decided the laws and the fith one was composed of 48 farmers. This parlament was dismantled after the icelanders submitted to the authority of the king of Norway in 1262. There is also a waterfall which was used as an execution for women in the 17-18th century. The rift was found a few years ago , before there was a road and there are lots of pictures of cars riding this road. Later in the day, we went to Geysir. A geyser is an underground water column at high temperature which after a short time, build pressure by making the water boil. Then water shoots up in the air. 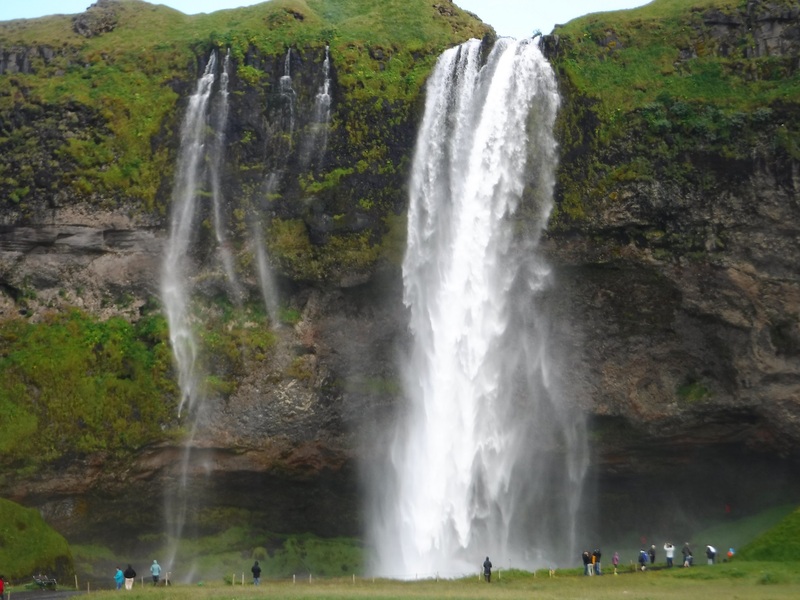 For example, The Strokkur can shoot water up to 25-35 m and the Geysir can shoot it up to 70-90 m. However the Geysir doesn’t work anymore since 2000 because of an earthquake which disturbed the processus in the underground water column. 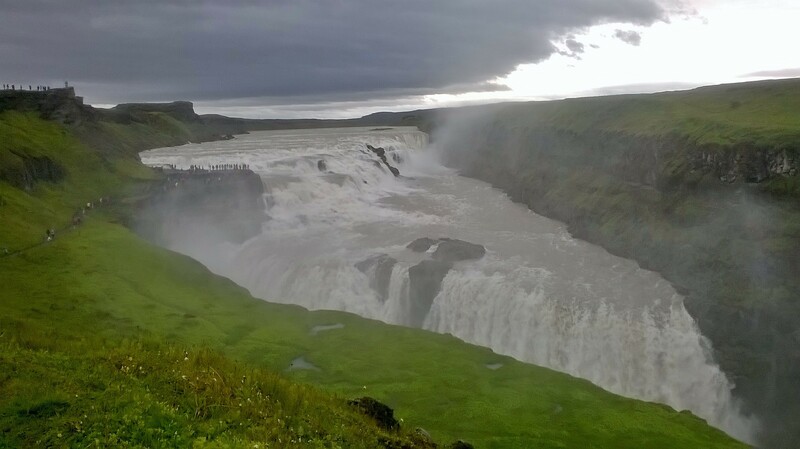 After the Geysir, we went to the biggest waterfalls in Iceland also called Gullfoss. We spent there one hour. The water comes from the Landjokkul glacier and its speed is very high and falls down to 20 meters. 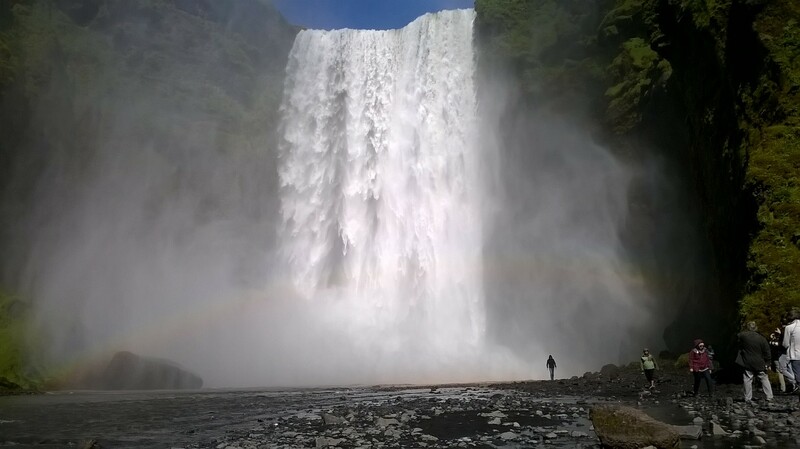 After visiting the waterfalls we came back to our trucks and drove back home. 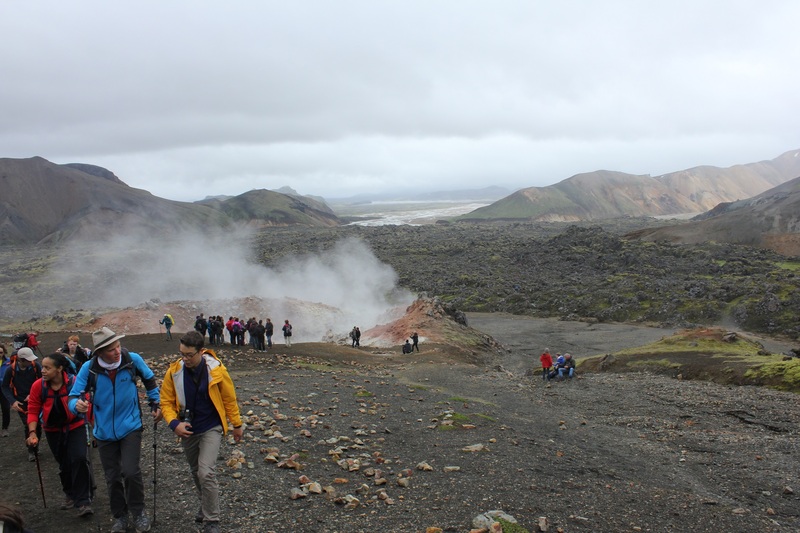 Benjamin, Sabine, Jules & Laurie : The geothermal power station’s history and function. 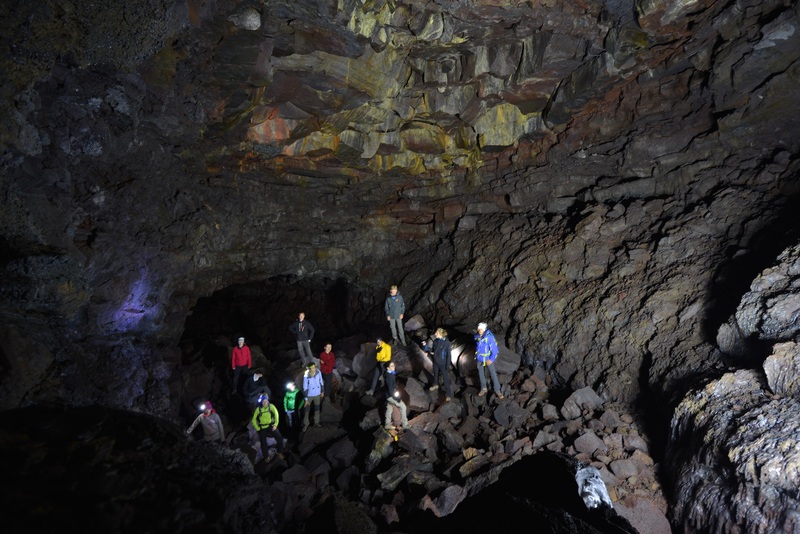 We met and spent 1.30 hours with the famous volcano-speleogist Björn Hroarsson. He spoke with a lot of movements and added a few jokes sometimes. He has a passion for volcanos and lava since his teenage years. He spent his life on research and as a writter, « I have 40 books and 200 articles behind me so far » he said. He’s fascinated and seems to be very proud of his home sweet home. We prepared some questions for him. 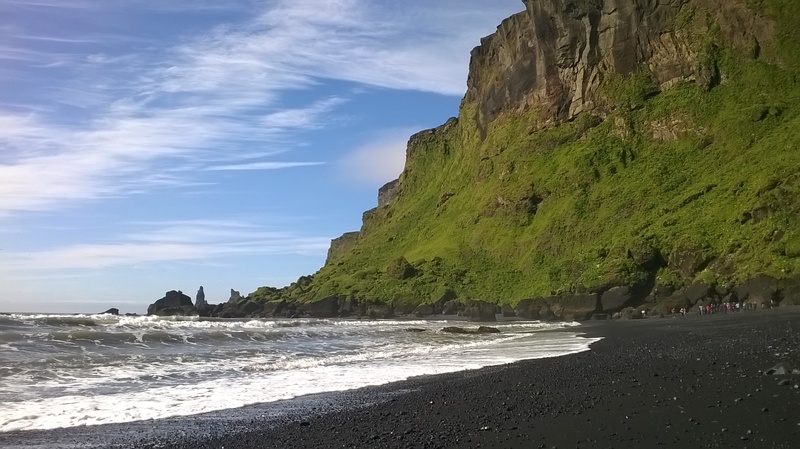 Some of them were more specific and others were about Iceland’s geology. 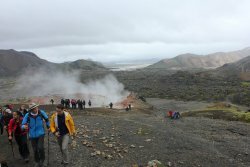 What types of volcanoes are there in Iceland ? 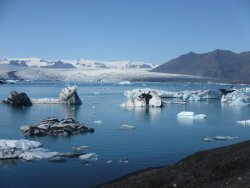 Is Iceland a regulator of global warming ? The day ended with several different activities, from cooking a good soup to playing cards including a session of juggling. 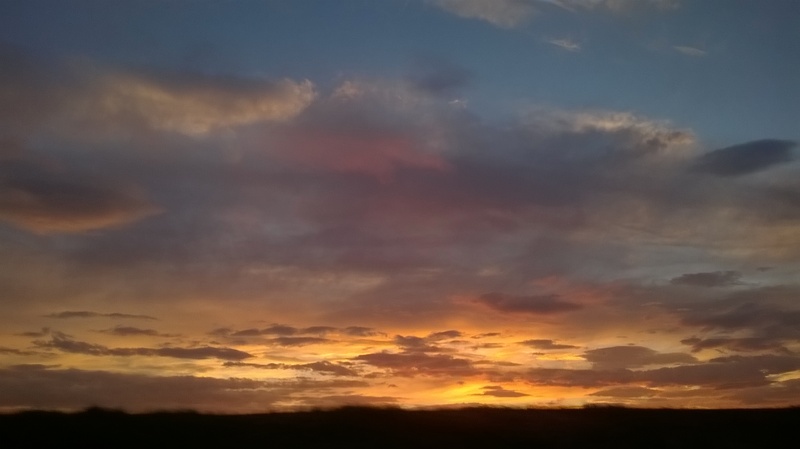 We woke up at sunrise - it’s a manner of speaking since the sun never really sets in Iceland- and left early for Landmannalaugar. During half of the trip, we drove on a makeshift road throughout the great lava fields, filled with rocks and large puddles. In contrast with the flat landscapes we had seen up to that point, Landmannalaugar is a very mountainous region that presents various volcanic features such as craters and fumaroles. 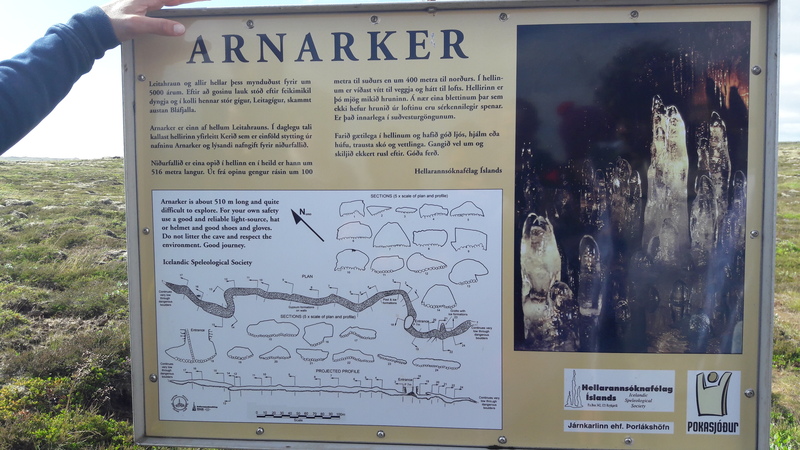 We hiked during the whole day and reached Hrafntinnusker around 4pm before starting our descnet ; which totaled up to 24km hike. The higher we climbed, the more cold and misty the weather got. Near the summit, the path was covered in eternal snow, which made it harder for us to advance. Today in the morning, we packed our tents and went to the next camping point. While we were going, we visited two sites. Then, we drove to a point of view on the south coast. It was a high cliff. There were big arches which were at the beginning huge rocks which eroded and formed the arches. 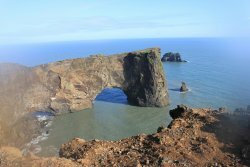 These arches will then colapse and form the humongus spickes, we can see threm coming out from the sea. At the end of the day, we set up in a new camping and realised we got good at building tents and working together. 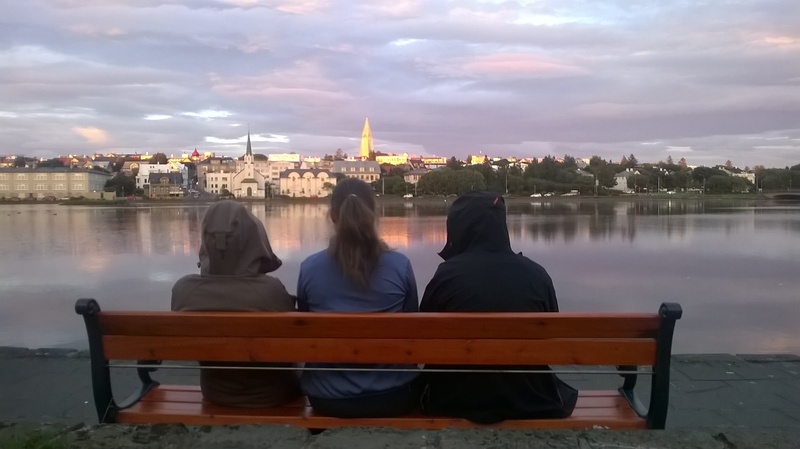 In the evening, we started a new game in the group for the rest of the trip, called « killer ». The goal of it is to eliminate everybody by doing bad and good missions. These missions are given by the game masters which set the rules. Although we became a bit paranoiac, this game gets us closer to each other by a sympathic interaction. 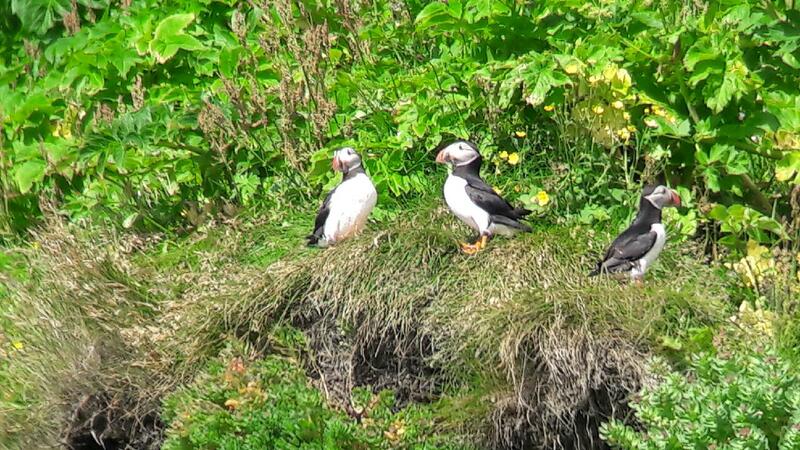 We hurried up to prepare our backpacks in order to be able to take our time to see many puffins, in Myrdalur, armed with our binoculars and cameras. This natural environment and the diversity of flora and bird life are unique, due to the exceptionally mild climate in both summer and winter. Just before lunch we had a quick pitstop in a well-known brand « Icewear » to buy souvenirs (and have a heart attack apon seeing the prices !☺). 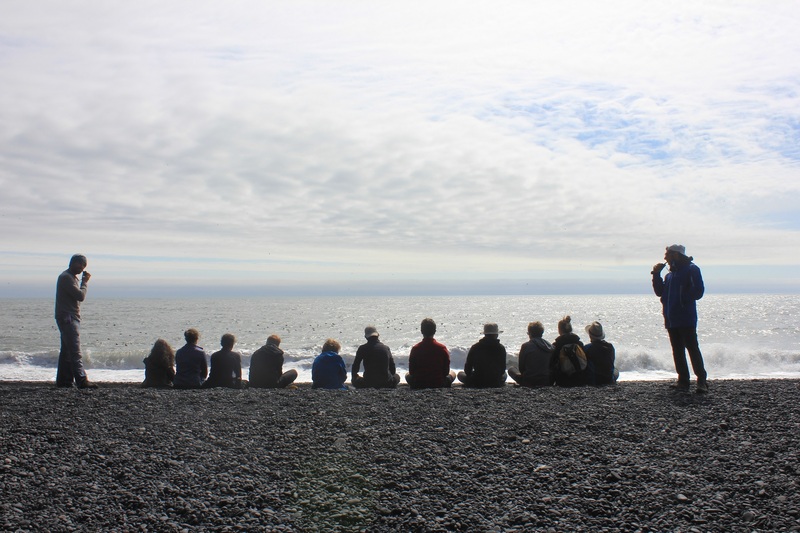 Once having filled the minibus with our numerous belongings we departed in direction of Reynifjara beach to observe the basalt formations, by-passing the impressive glacier Myrdalsjokull. 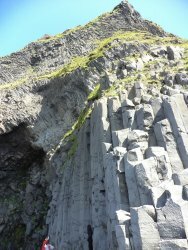 Legend : These basaltic colomns are formed when a pyroclastic flow cools and fractures to form regular, polygonal prisms. Eventually, we witnessed in real life the prints of the Laki eruption of 1783. We were able to relate our experience to the short documentary we watched previously and the intense interview of Björn Hroarsson. 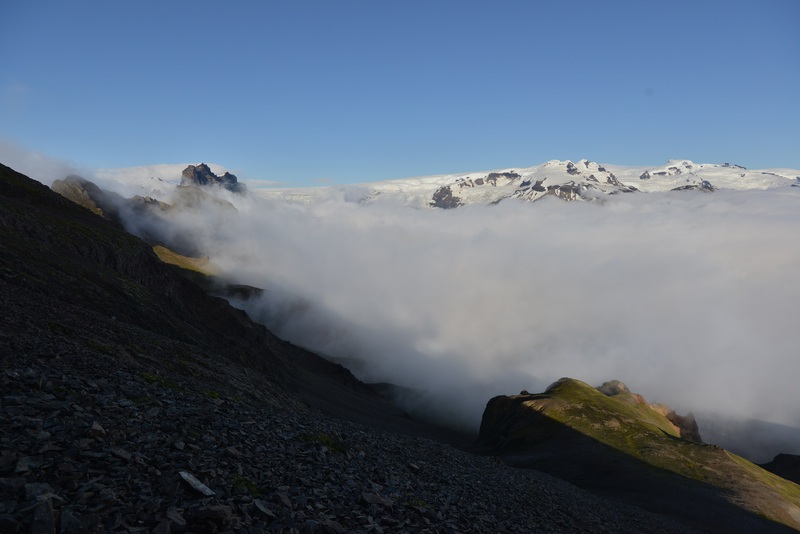 On the whole the weather was beautiful and we arrived calmly at Skaftafell camp with a mountainous horizon. This morning, since the weather was not in our favor, Gaël took the opportunity to teach us about clouds throughout a pamphlet that he gave us. We also learned about the gulfstream and other potential factors that could affect global warming. Right after lunch, we headed down to Jökulsarlon where we discovered a lagoon filled with icebergs. From the 17th and 19th century -a period known as the « Little Ice Age »- a great glacier developped, followed by a warm period that quickly forced the glacier to retreat. This back and forth movement created the lagoon. Icebergs are stuck in the lagoon due to the shallow water of the river, until they melt into the sea. The density of the ice is 0.9 ; as a result, 90% of the iceberg is found underwater, anchored at the bottom of the river. 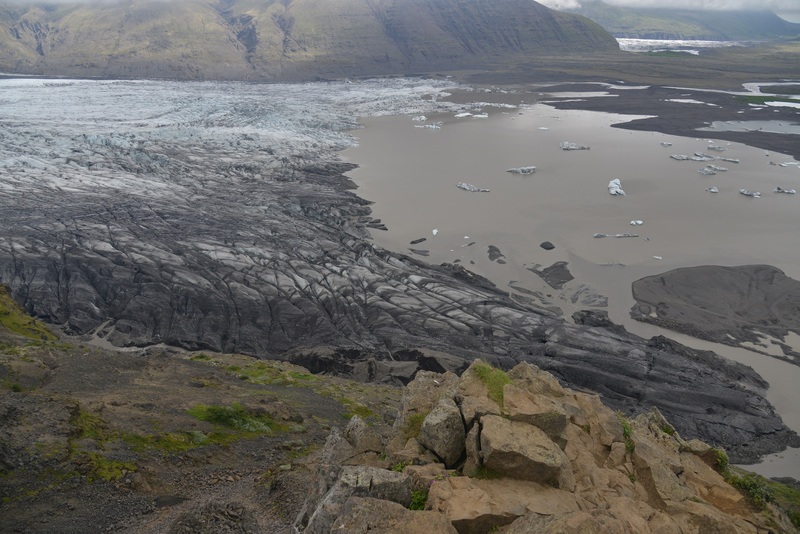 We saw many different iceberg colors such as white -common glacier- , blue -caused by the abundant quantity of air bubbles trapped inside the iceberg- , or black -due to volcanic rocks scrapped by the glacier tongue, Breidamerkurjökull. 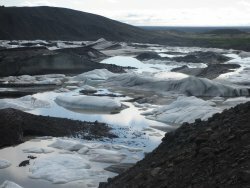 Later in the afternoon, we went to Svinafellsjökull to understand the inner workings of the glacier tongue and the formation of cracks. First of all, a glacier is formed by the accumulation of snow that is compressed -creating a solid block of ice. We can consider that snow becomes ice once the air can’t get through anymore. During the hike, we observed horizontal marks on the rocks found alongside the valley -made by the advancing glacier- as we followed the steep path that led us closer to the iceberg. 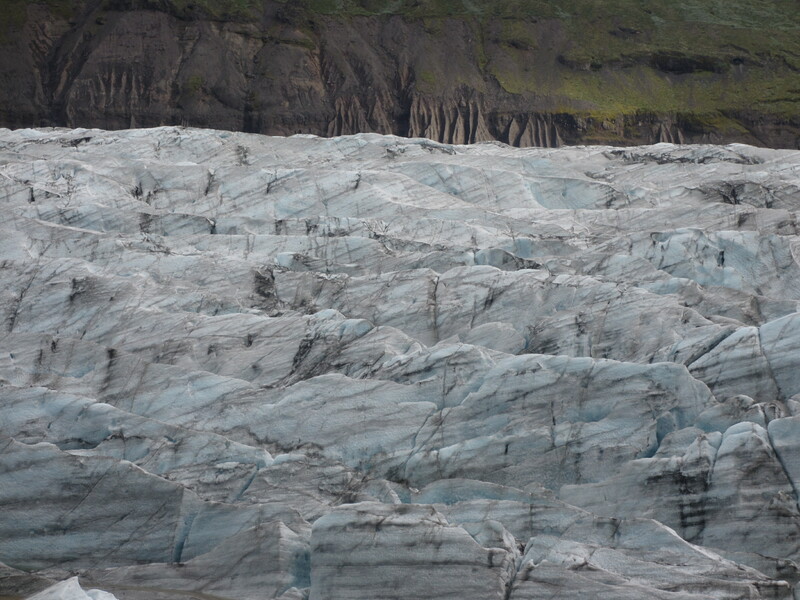 Indeed, the ice carries small rocks that scrape the surrounding walls -indicating up to where the glacier used to be. The ice pushes the grounds and drops off the rocks gathered during its progression. 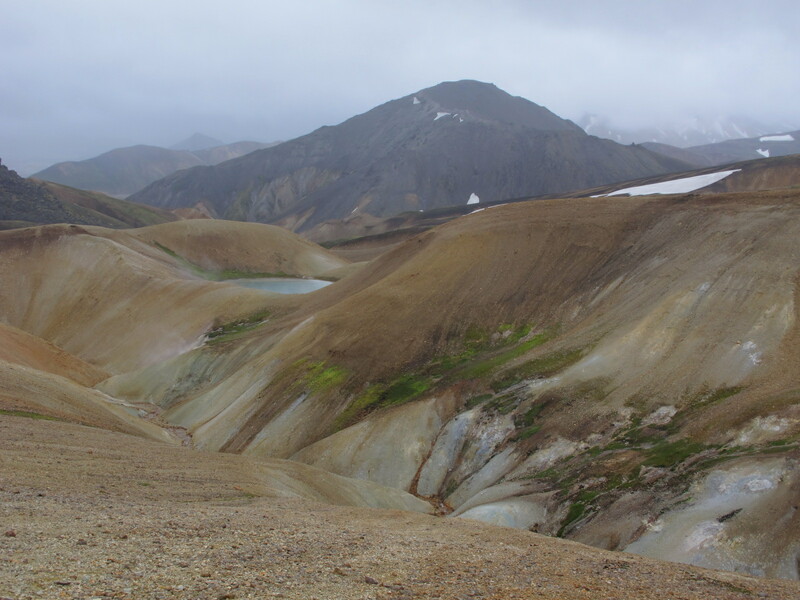 The impact changes the landscape and creates moraines -small hills that are visible after the glacier’s retreat. 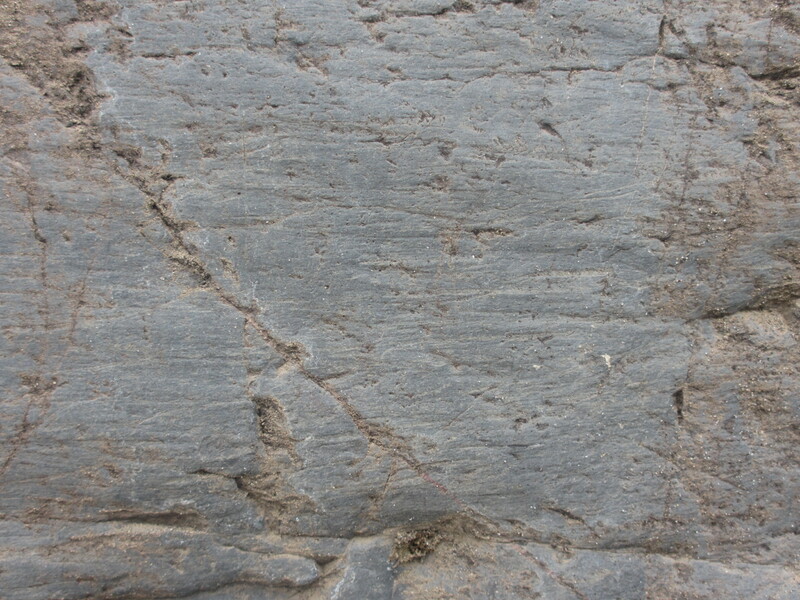 The cracks in the glacier tongue have been formed by the length and slope variations during the glacier’s movement ; most cracks are usually parallel to the valley. 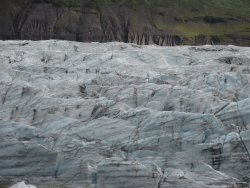 The walls of the valley and the ground slow down the expansion of the glacier, whereas the center of the glacier tongue keeps a constant velocity, creating curved cracks. 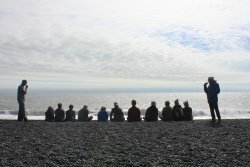 At the end of the trail, we all stopped and concentrated on the environnment around us, listening to the sounds of the glacier, watching this wonder of nature and the force of this monumental structure. 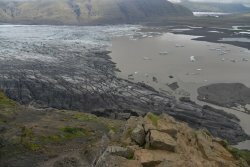 Today, we hiked on the Skaftafellsheiòi near the vatnajökull glacier. We began the hike at the Skaftafell camping which was at the bottom of the mountain, then we went up to a nice point of view. There, we experimented part of the scientist job : on the field. 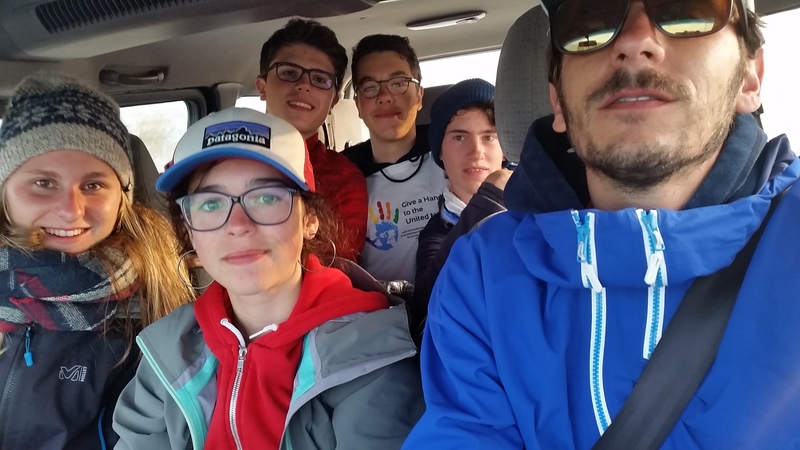 We discovered the research protocol which is resumed as a list of taks which leads to valuable results which proves a hypothesis or in the contrary during an experience which is done over time, for example to watch the glaciers move and see how they evolve. Therefore, the experience must be in the same conditions every time it is done. 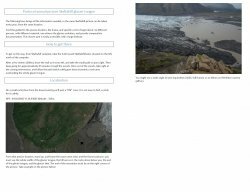 In the case of the Vatnajökull glacier, the conditions for the pictures are to be taken at the same place, period, hour and with teh same weather, direction, height, zoom and settings. The more precise the protocole is, the easier the comparison will be. 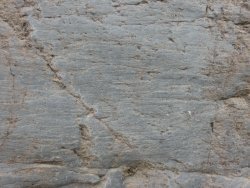 The first people who took the first picture marked a point on a rock which will stay for years for the next photos. We had to find that point to continue the experience. Once we found the spot, we need to use 27mm zoom (equivalent full fame) and use the end of the mountains as a corner of the photos. Not far away from the marked stone, Gaël put a camera which makes one photo every day and create time lapse. 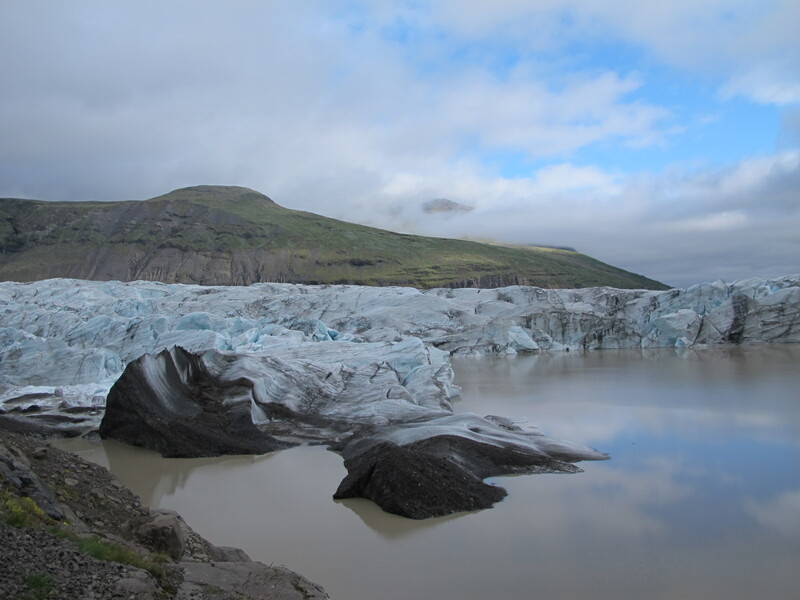 We project to get it back in one year and then to see how the glacier moves. 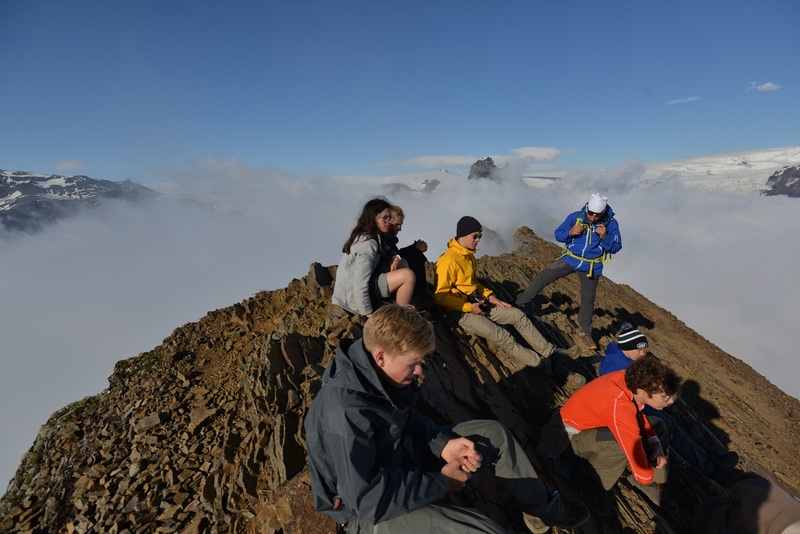 We continued on the trail to the point where the group split up in two groups : one stayed on the same path, the others took another path which led to the summit of the Skaftafellsheiòi which is 1125 meters high. The landscape was astonishing. 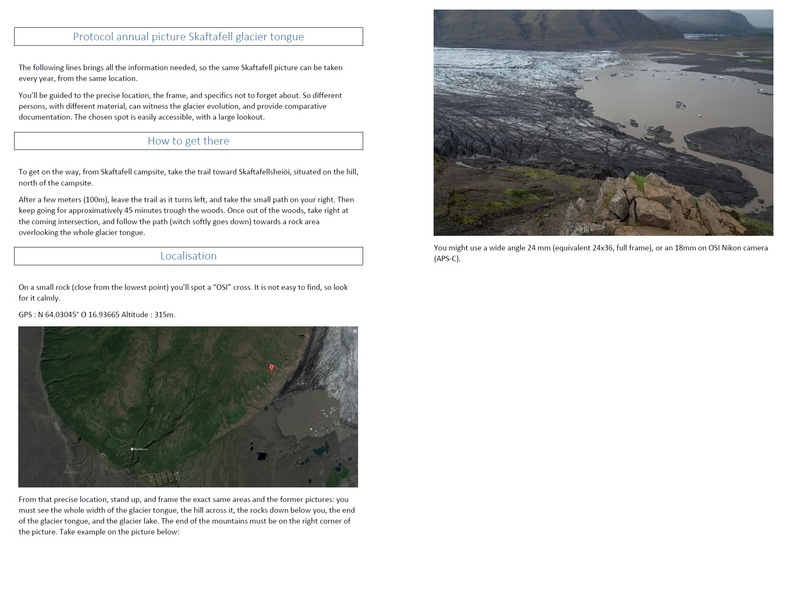 PS : we join a document which explains precisely the research protocol for the glacier picture. 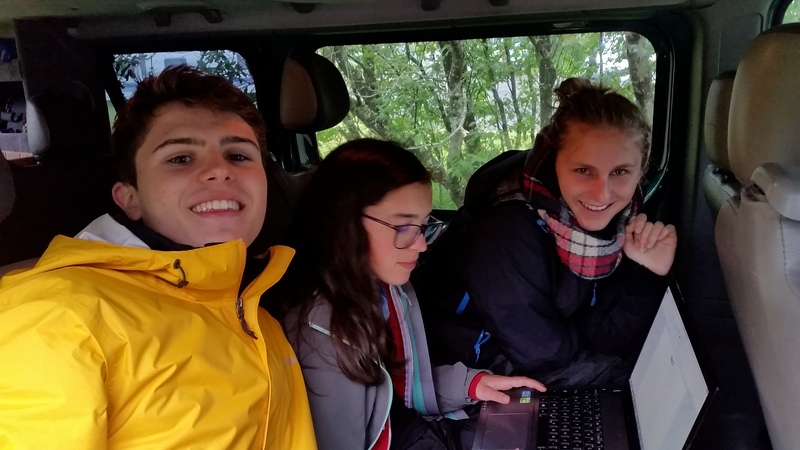 In the morning of our last relocation, a little group accompanied Gaël to install a performant thermometer in the woods near the Svinnafell waterfall. They put it a meter above the ground in order to prevent snow from reaching it and avoid the influence of ground temperature. They took some photographs of the environment within it’s perimeter to find it next year (GPS : 63°58’49« N 16°50’52 »W). With endless riches, great and small." At 5:00 pm we arrived at our first camp welcomed by wonderful weather ! 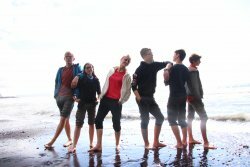 During the road trip, each group was split up in order to launch the final phase of our allocated work. We all try to make an original scientific report and have interesting and serious information. We have to imagine how to create our plan with a relevant problematic. Also must collect some professional testimonies and illustrate the final product to make viewers understand what we want to explain. Next days will be punctuated by visits, interviews, meetings and video setup. Though, to break with our work, we went to « Journey to the Center of the Earth ». 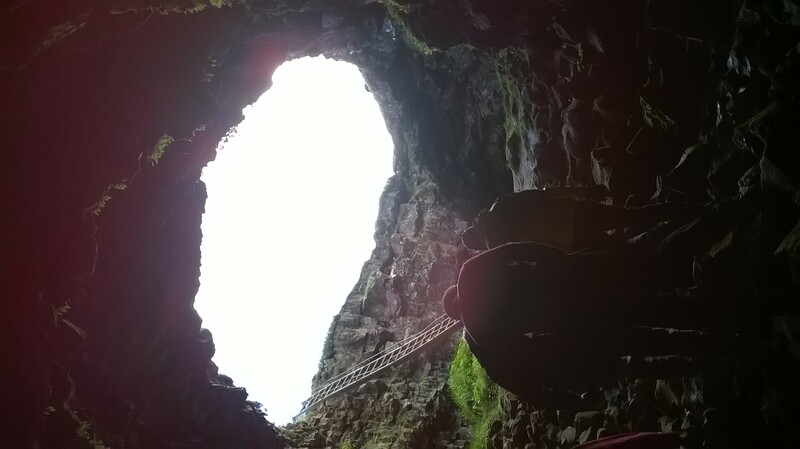 Gaël and Rémy brought us to a lava tube. 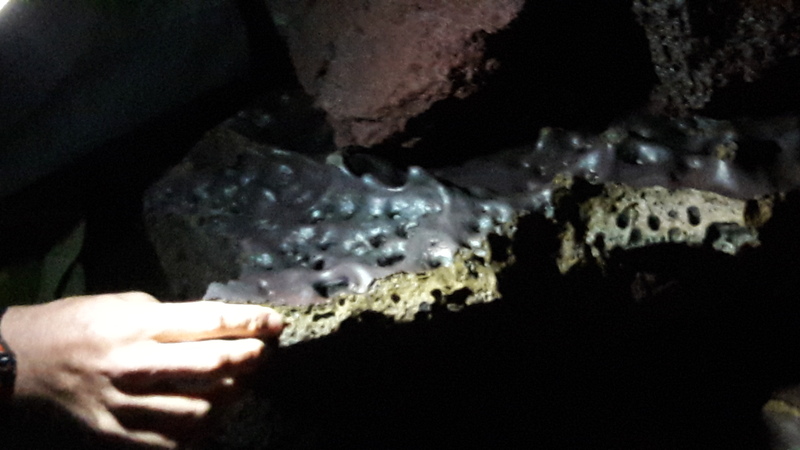 It’s a former lava flow, that cooled down and solidified on the surface, where the lava that flowed through, was liquid enough, to eventually flow all away and leave a tube at the end of the eruption. We went hiking through it. This was an amazing experience. We went 400 meters in it, but then the pass was so narrow, we had to stop. We experience deep black, and had a 3 minutes silent moment. The only sound we could hear were the water drooping from the ceiling. 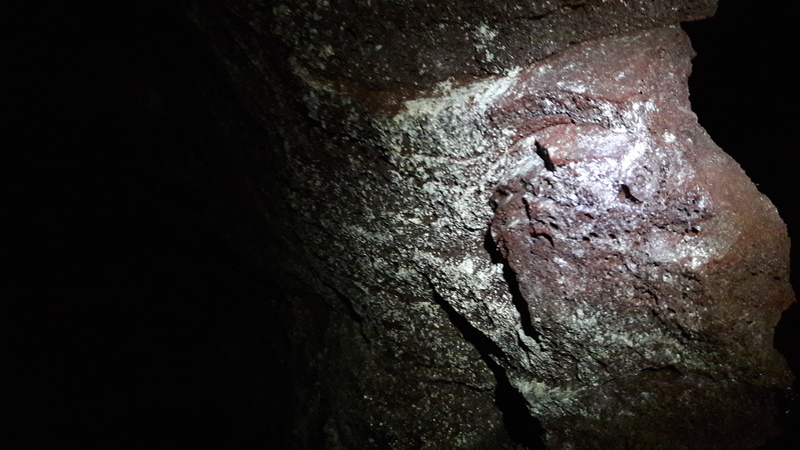 The color inside were diverse and amazing, and we could see on the sides, traces of the lava flow. Picture will speak for themselves. During the Science Camp, our main project was to produce Scientific Journalism short videos. It’s been hard to make, because of the camping style (lack of time, internet and battery), but we are are proud of our films. We hope you guys will enjoy it, and learn from our work. Thanks for following us all along.